EXCLUSIVE! 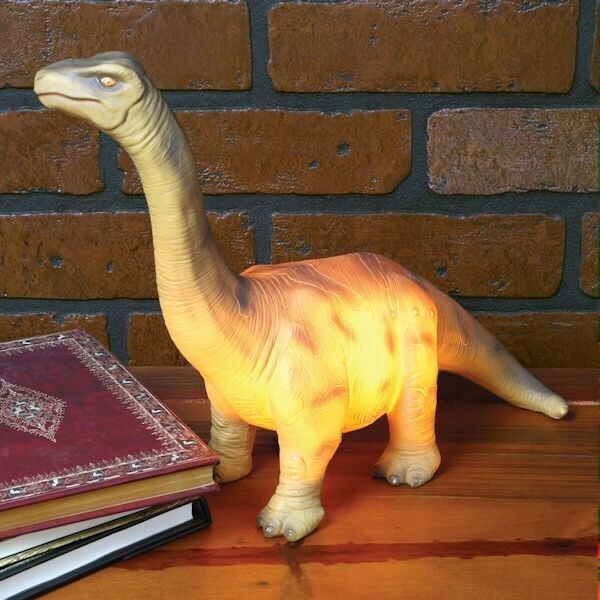 These prehistoric giants are just the right size for the perfect accent lamp in a bedroom, den or game room. Requires one 7-Watt bulb (included). On/off switch. Cold Cast Polyresin T-Rex, 6½" x 10½" x 9". Brontosaurus, 4"x 13"x 10". Cord, 56"L.